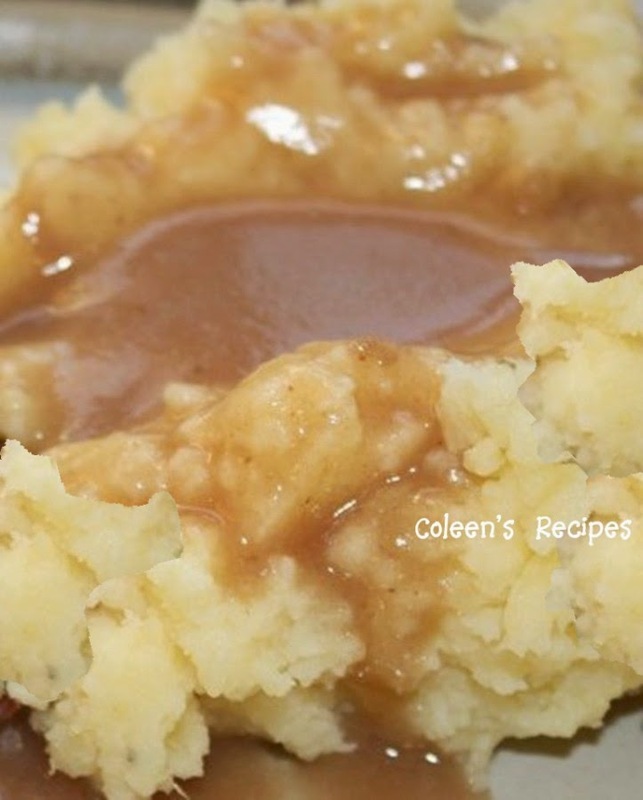 This is a great method of making mashed potatoes for a crowd. It seems like I'm always short on time (or a burner) when it comes to last minute side dishes during the holidays, so this method is a big help. 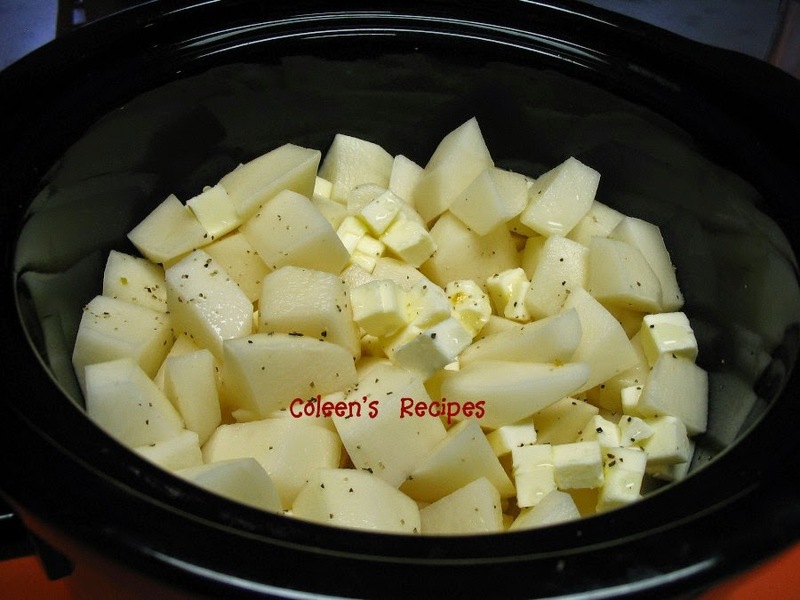 In either case, spray the crock-pot with cooking spray and put your raw cubed potatoes and butter pieces in the crock-pot. Cover with a lid and cook on high for 4 hours (or till tender). 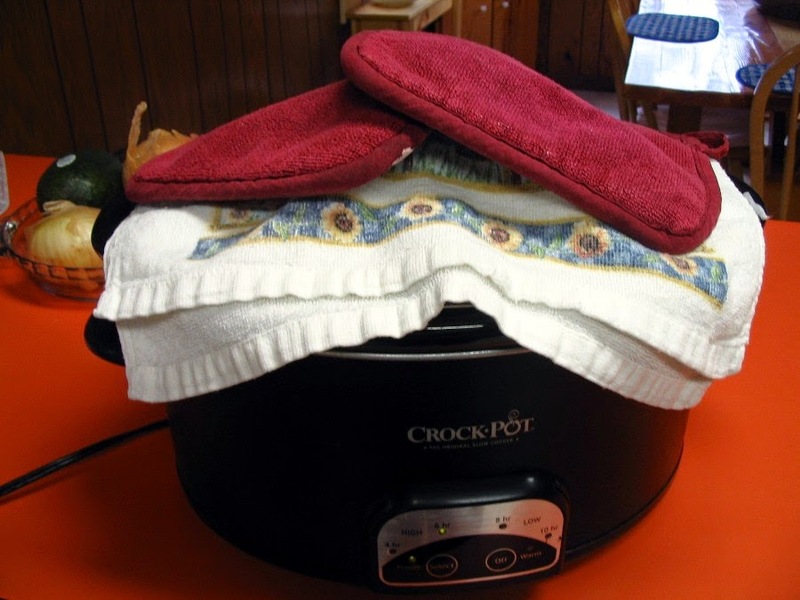 TIP: If you put a couple of potholders on the top of the crock-pot lid (as shown in the above photos), then the potatoes will be cooked in 3 hours instead of 4. After the potatoes are tender, DO NOT DRAIN. Give the potatoes a rough mash with a hand held potato masher first, then add one cup of HOT half and half and finish whipping them with a hand held electric mixer (right in the crock-pot). Add the final half cup of half and half if you think the potatoes need it. 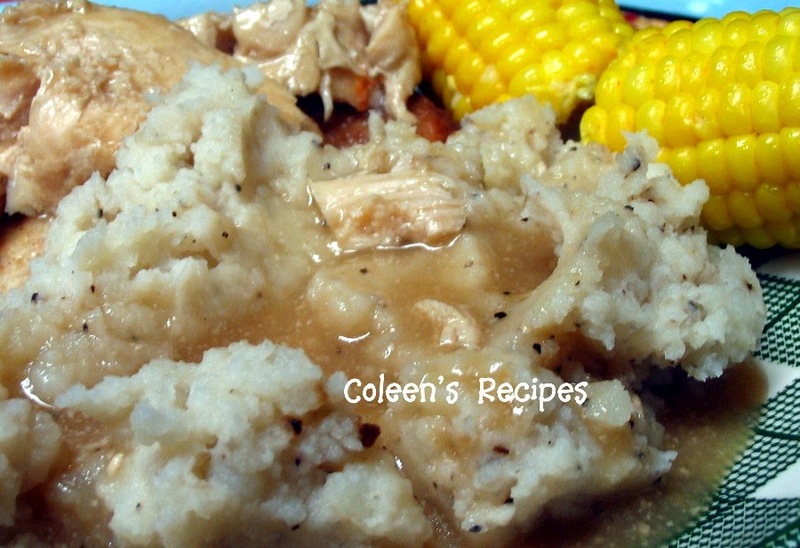 These mashed potatoes can be kept on the warm setting of the slow cooker for up to two hours. 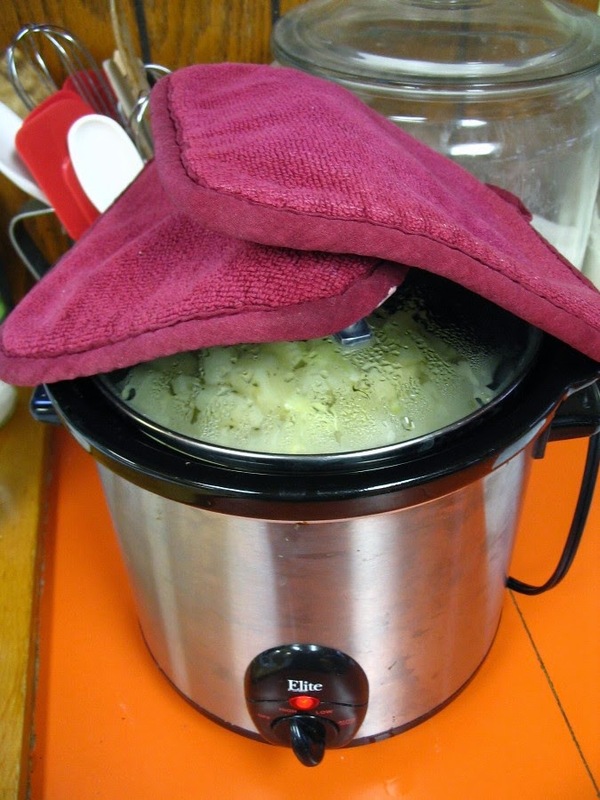 Even if your crock-pot doesn't have a warm setting, you can still keep these mashed potatoes hot by covering the whole crock-pot with a heavy towel. They will stay hot for quite a while.